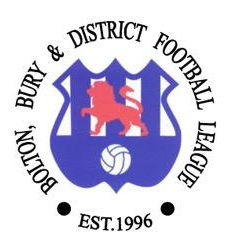 Bolton, Bury & District Football League chairman Warren Barlow tells Club Website about why his league have chosen to move all football from under-7s to under-14s to a summer season. The debate over moving to a summer season has dominated much of the grassroots football agenda of late. After another winter of disruption to the amateur football calendar which saw teams not playing for up to three months, people across the game have called for something to be done. Two-thirds of Club Website members want to see all children’s football moved to a March to November season with a break for the school summer holidays, while almost half want to see the entire grassroots football calendar move away from the winter months. One league that has decided to do something about it is the Bolton, Bury and District Football League (BBDFL), whose members voted for a move to a March to November season from 2017 - a proposal awaiting FA sanction. Having done what many others in the grassroots community would like to do, we caught up with league chairman Warren Barlow to find out more about their move, their reasons for doing it and the challenges they faced. Club Website: Why have the BBDFL decided to make the switch to summer football? Warren Barlow: The rationale is year on year we have lost at the very least eight weeks of football due to the weather and this year has been the worst ever with 14 weeks of cancellations. This not only has a demoralising effect on those involved, it also has a detrimental effect on the game as we have lost players, teams, coaches and referees due to long periods without a game and other activities. In some cases, that means a Saturday job has replaced the weekly involvement in football. The BBDFL currently has 647 teams playing in a small nine mile radius from Bolton Town Hall and the numbers are growing at a phenomenal rate, rising from 534 teams last year to the current number. Many of our pitches have mini soccer games played across them, then a couple of youth games and potentially an adult game in the afternoon. Add the weather, the over-use, number of teams and the standard of the facilities available and something has to change. CW: Have you given summer football a try before now? WB: In 2015, we organised a summer programme for under-7s through to under-12s to establish what the take up for summer football would be. The programme ran over 12 consecutive Saturdays from May until mid-July, using just three venues provided by the local authority. 184 teams entered and each of them played multiple matches each weekend for the full 12-week event. 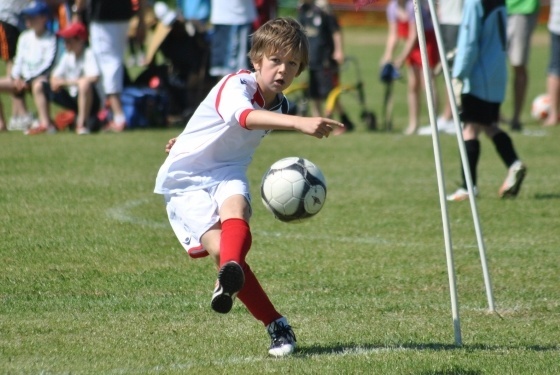 Not one weekend was lost to the weather, at the conclusion of the programme the facilities didn't even look as though they had been used and the teams, players and the council all reported that the event had been a great success. CW: So after a successful trial, what was the next step? WB: We then sought advice from our members, asking them what they wanted and the vast majority - 87 out of 89 clubs to respond to our request - said they wanted us to run a summer programme every year. We didn't want 12 month football as even committee members needed a break, so we decided to seek sanction to move our under-7s through to under-14s to a March to October season starting in 2017, leaving our under-15s to under-21s in a traditional winter programme. We've asked the FA for a three-year pilot for the new programme. Currently this sanction request is with the FA and we await their decision. We expect to hear if it is successful around April when the next Sanctions and Regulations Board sits. I'm hopeful they'll put it through, although nothing would surprise me with the FA. If they don't, it would be a massive mistake, because this is an opportunity for one of the biggest and most progressive leagues in the country to trial this. It's a three-year pilot so, if it all goes wrong, people can 'we told you so' and we've got the evidence that it won't work. But if all goes well, potentially you've got a blueprint for many other leagues in the country. CW: It's quite a radical change and has no doubt ruffled a few feathers. How have you dealt with the challenges faced? WB: There have been many challenges, with criticism being thrown at us from some quarters and a reluctance to change by others, but the vast majority of our members want us to give this a try. We've had a lot of criticism from the cricket fraternity, but the local cricket leagues - the Greater Manchester Cricket League and the Bolton Cricket League - are both supportive. Through discussions, we found that juniors normally play cricket on Fridays and Sundays, whilst they sometimes train on Monday and Wednesday evenings. So we'll make a rule that they can only play football at the weekend on Saturdays, plus Tuesday and Thursday evenings. It's about working together. There are a lot of good partnerships going on. We have entered into dialogue with other sports providers, the local press and attended a radio discussion on Bolton FM with representatives from the local cricket clubs and league, the regional tennis providers and the Bolton News, who organised the event. This discussion was very positive and hopefully we have made strides to bring all the sports providers together to mutually support each other. There is an untapped resource out there of kids who don't play sport at the moment and we should all be working to grow all sports together. Some people are too blinkered or insular and need to start looking at the bigger picture. CW: What would be your advice to other leagues around the country who are considering a change, but are potentially put off by the challenges involved? WB: There are challenges, but none of these are insurmountable and I suggest its no greater challenge than any other initiative, apart from some of the more aggressive people out there who are very protective of their own sport. You need a thick skin. One or two cricket clubs have been vehemently opposed to the changes, so much so that I've taken lots of abuse on Twitter and been called some quite appalling names, but you must do what you believe is right for the game and the people who wish to be involved in it. But since we decided to go for the summer option we have had 52 additional teams ask to join the league, so the numbers speak for themselves. 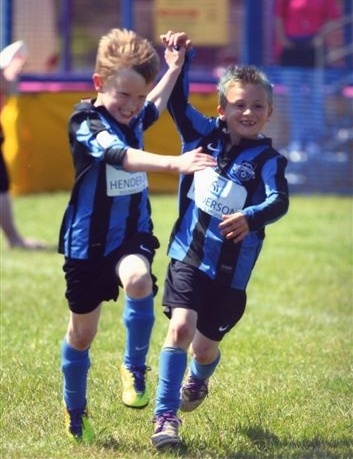 The momentum is there and it's what the people in the grassroots game want to happen. You either go with that demand or ignore it at your peril.